After extending the deadline in desperation to June 30 we surpassed the minimum required entries of twenty to run a weekly jackpot in fact we finished up with 22. This is good news for Zenben and Peter Gleeson, the only 2 winners of the jackpot so far, cleaning up with $45 and $35 to date. The top 3 Podium Places in the Joker Ladder comp prize money win $183, $91.50 and $30.50 respectively. 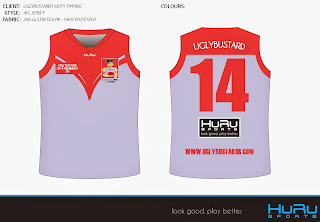 The winner also gets the prized Uglybustards footy guernsey thanks to Huru Sports "Look Good Play Better". A separate prize is given to the top placing tipster in the Standard Season Ladder who didn't place in the Joker Ladder. The Margin Comp this year has a prize for first place only. See all the prize details on the Prizes page. Amy Jones, Andy, Archer Rofe, Arnold Layne, BecCG, Cleverbustard, Flopalot, Funnybustard, gonadbreath, Griggsy, Bill Griggs, Lazybastard, Mik Barley, Pete Lewis, Peter Gleeson, Powerful, Rhino33, Rod Carter, Sam Griggs, the boot, Uglybustard, zenben. As mentioned Zenben and Peter Gleeson have had a stranglehold on the jackpot both having won twice and are the only winners in whats been a record low in Uglybustards Jackpot history. $10 up for grabs this week. Andy failed to find form on Friday and missed the margin by a whopping 96 points! After leading for the past nine weeks he drops to third and an amazing seven goals off the lead. Funny bustard shot from 5th to 1st with a tip just 18 points off the margin while most tipsters were doing well if they got within 9 goals. Cleverbustard was the only other tipster within 5 goals. Archer Rofe had a good round as well, 47 points off the margin to climb from 3rd to 2nd, just 10 points behind Funnybustard. Zenben leads the Joker Ladder by the narrowest of margins over Ox but will need a miracle to pull off victory at the end of the year having used up the last of his jokers. In 3rd place is Funnybustard another 4 points behind with one joker left. The Ox has 2 jokers to go, and would appear to be in the box seat. However there's a few smokeys in the pack. Elmo, Powerful and Sam Griggs in 4th, 9th and 11th are within striking distance if they happen to tip a full card with any of their remaining jokers. Sam Griggs the wily 2013 Champ and the tipster to blame for the initiation of the Joker Ladder has Four Frickin jokers left and is 17 points off the lead. Its gonna go down to the wire. Even BecCG, Peter Gleeson and Mik Barley in 17th, 18th and 19th are a chance, each with 4 jokers to use. The standard ladder is led by the Ox while 2013 Ugly Bustards Champion Sam Griggs is making a late charge moving up from 7th to 2nd over the past few weeks to be just a point behind. Anthony Aiello is 3rd but not in the prize pool, leaving perhaps Andy the best chance for the prize if those above him place in the Joker Ladder. But its still anybody's as you can throw a blanket over 4th to 18th with four points separating them. We still have 8 tipsters who haven't played any of their five Jokers. 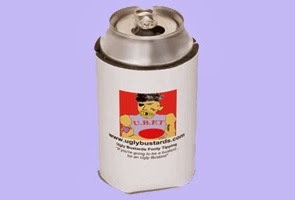 The instructions are published here and the Uglybustards site and with only 6 rounds to go you better start now! Playing a joker in the finals is not a good move as its only going to result in double your winning games. 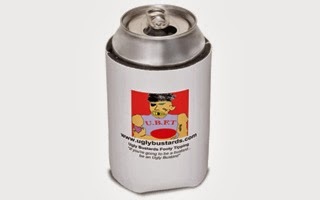 Thanks to everyone who's bought an Uglybustards Stubbyholder so far and donated to the cause of finding a cure for juvenile diabetes. We are slowly moving towards our $1,000 goal. Lastly we're waiting on an update from gonadbreath on the arrival of the Wadsman in Ho Chi Minh city. Don't forget your tips for Round 18.